Getting a beautiful smile is not complicated. Here, we’ll talk about some bad habits that can ruin a beautiful smile. Forgetting to Floss: Brushing teeth at least twice daily is required to keep your teeth clean but flossing is necessary prior to brushing to loosen food particles that can build up and cause plaque. Brushing Teeth Directly after Eating: Certain foods that contain acid, such as tomatoes, sports / energy drinks, citrus fruits and wine can erode tooth enamel. If you brush too soon after consuming these foods, you will be brushing the acid into your teeth and making matters worse. Drink water after consuming acidic foods to cleanse the mouth of acid before brushing. Continuing to use an Old Toothbrush: Old toothbrushes contain harmful bacteria. Worn toothbrushes are also ineffective and can do more harm to your gums. It’s important to use a new toothbrush after you’ve had any type of cold or flu and change your toothbrush at least every 12 weeks. Over Bleaching your Teeth: If you use the home bleaching methods for teeth, don’t be overzealous. Over use can make teeth sensitive and cause an unnatural color to your teeth. Always talk to your dentist before using any home bleaching products. Hard Bristled Toothbrushes: Many people scrub their teeth with hard bristled toothbrushes, thinking this will make their teeth cleaner. The unfortunate truth is that aggressive scrubbing with hard bristles causes irreversible gum damage, causing gums to recede, expose the root and make your teeth extremely sensitive. 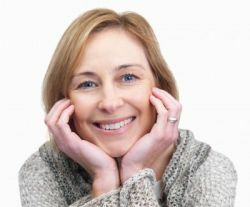 To maintain a healthy, beautiful smile, check that you are not practicing the bad habits mentioned in this article and call Ocean County dentist, Dr. Ron Rotem. Dr. Rotem will give you a thorough oral exam and consultation of diagnosis for treatment of any problems with your teeth or gums. Creating healthy, beautiful smiles is the main goal of Ocean County dentist, Dr. Rotem and his staff. So, don’t delay. Call Dr. Rotem today and give yourself the gift of a healthy beautiful smile with the right dentist and the right oral hygiene practices by avoiding the five habits that can ruin a beautiful smile.